(Est. 1999) “Tacodeli opened in Austin in 1999, but our story began long before in Mexico City. That’s where our founder Roberto grew up and first fell in love with the magical flavors of the taqueria. 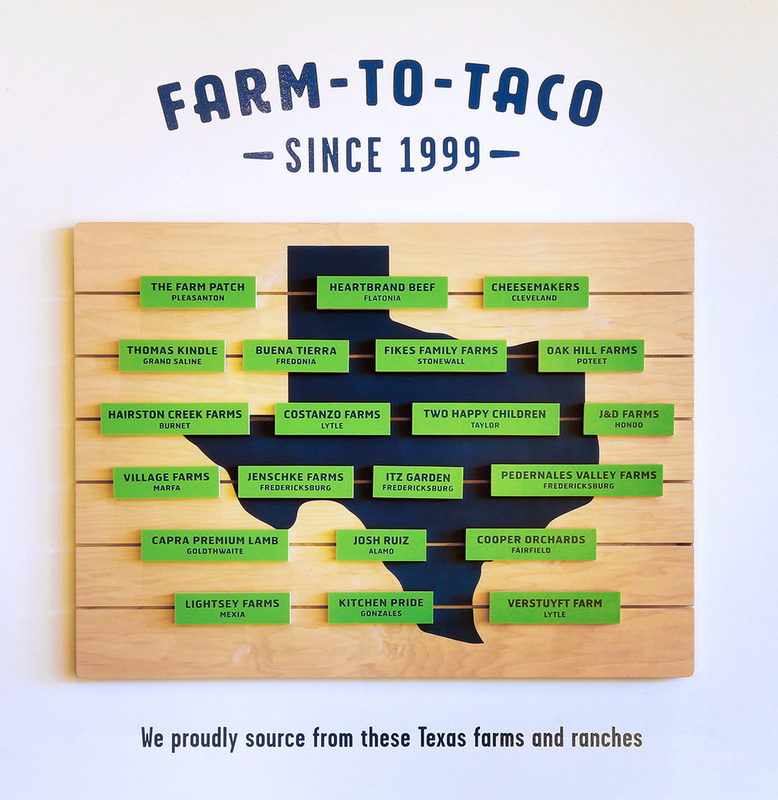 Years later, his childhood memories mixed with Austin’s friendly vibes to inspire Tacodeli’s food and the way we share it. The result is a big, ambitious menu, prepared by hand every day. A healthy obsession with both the quality of our ingredients and the quality of our lives. And a merging of flavors from both sides of our heritage to create something all its own. 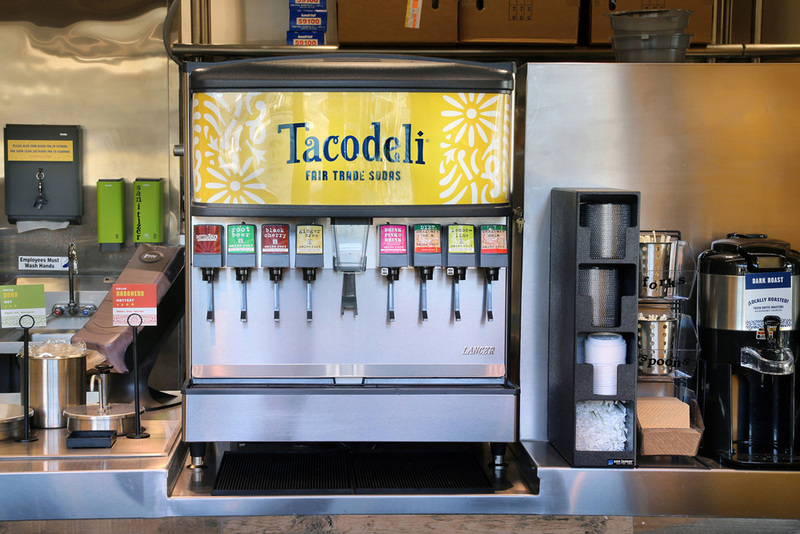 We extend a warm welcome to anyone who’s hungry for something different.” Tacodeli has 10 locations across Austin, Dallas, Plano and Houston, Texas. 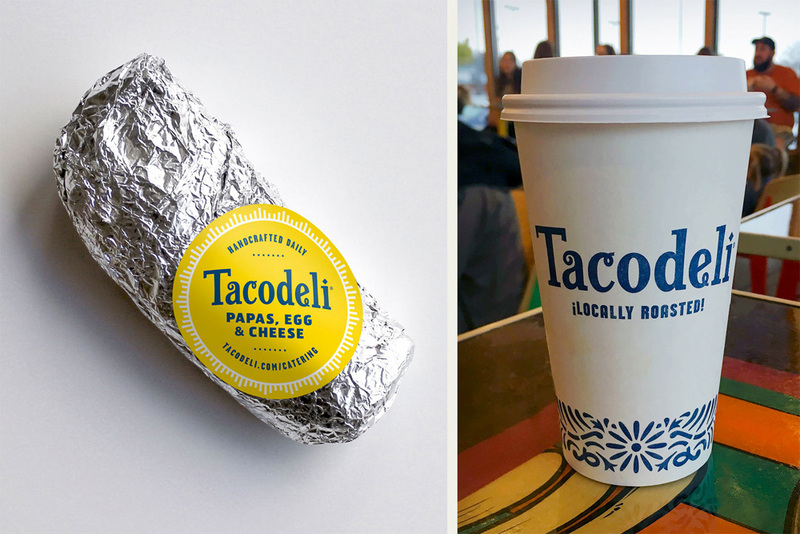 Tacodeli needed to refine their branding to support their growth into new markets outside of Austin. We embraced the quirkiness of their original wordmark while modernizing its style and improving legibility. The pattern and iconography were inspired by vintage Mexican ceramic tile. 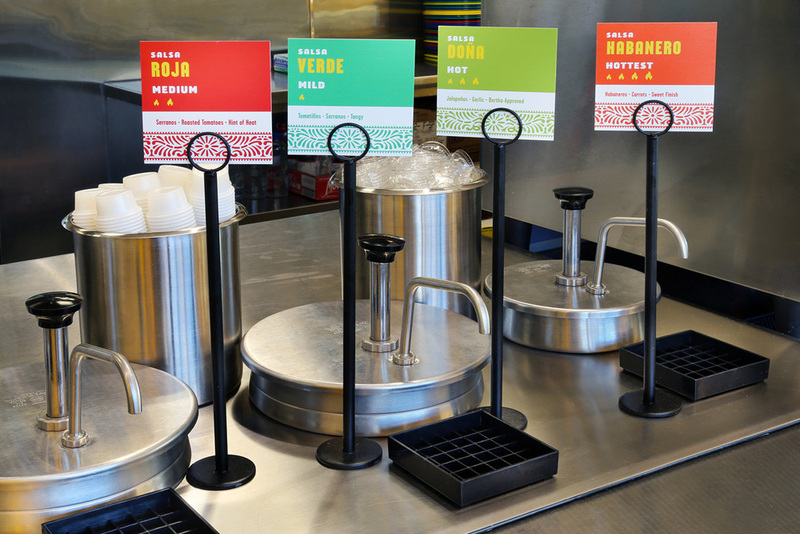 The new visual identity was used to update every customer touchpoint from menus to packaging to the website. The old logo was pretty tacky with its overwrought wordmark and questionable illustration of a mariachi eating a taco. Luckily, the mariachi is gone and the wordmark has been cleaned up pretty nicely, managing to maintain the quirkiness of the original but done in a more tasteful way that signals the growth of the restaurant chain from a local secret to a regional staple. The identity introduces a few interesting elements to liven up the materials: a floral pattern, the use of HWT Artz, and sticking mostly to a blue and yellow palette (which may seem odd for a restaurant but it works well here). The identity is Mexican-ish but without being too literal about it and there is a restrained playfulness to the applications. I could do with more instances of those icons though, those are great. Overall, a subtle but great improvement for what are arguably some of the best tacos in Austin. (Est. 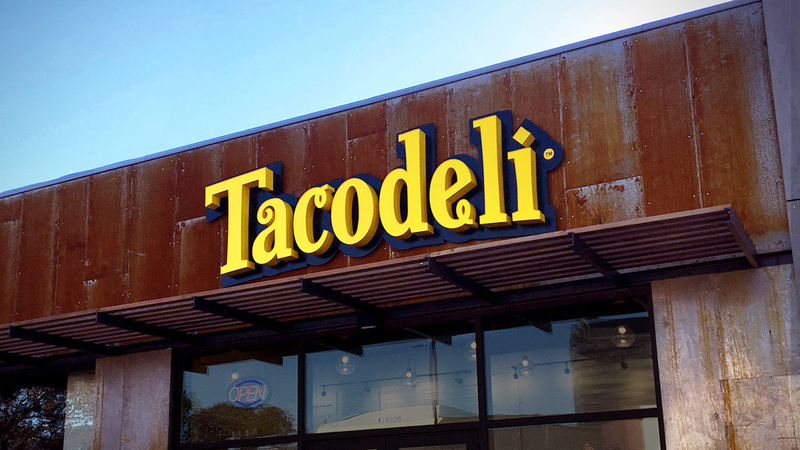 1999) \"Tacodeli opened in Austin in 1999, but our story began long before in Mexico City. 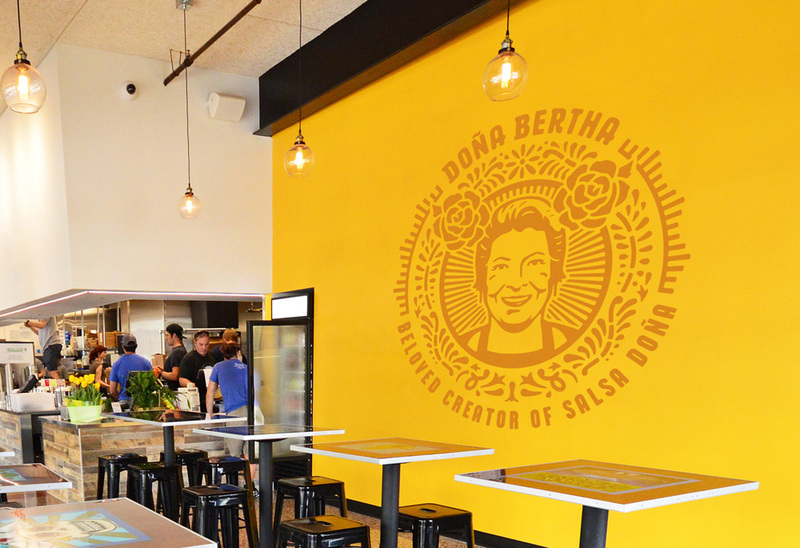 That's where our founder Roberto grew up and first fell in love with the magical flavors of the taqueria. Years later, his childhood memories mixed with Austin's friendly vibes to inspire Tacodeli's food and the way we share it. The result is a big, ambitious menu, prepared by hand every day. A healthy obsession with both the quality of our ingredients and the quality of our lives. And a merging of flavors from both sides of our heritage to create something all its own. 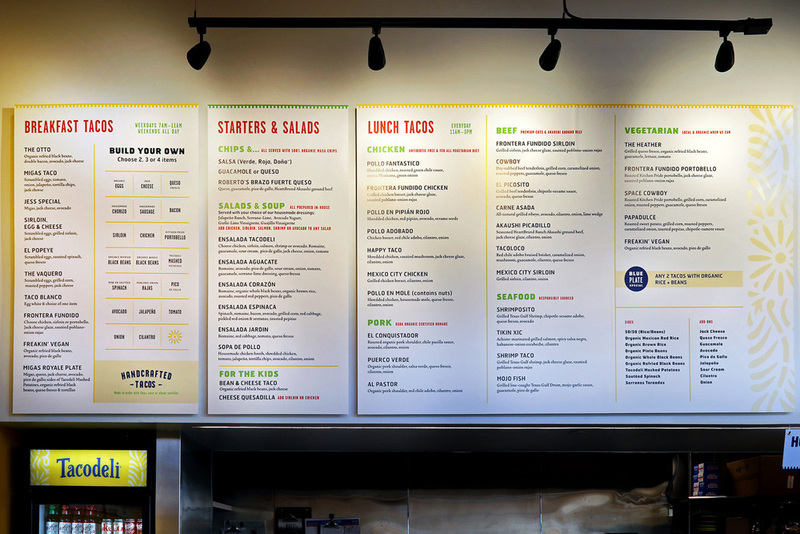 We extend a warm welcome to anyone who's hungry for something different.\" Tacodeli has 10 locations across Austin, Dallas, Plano and Houston, Texas.